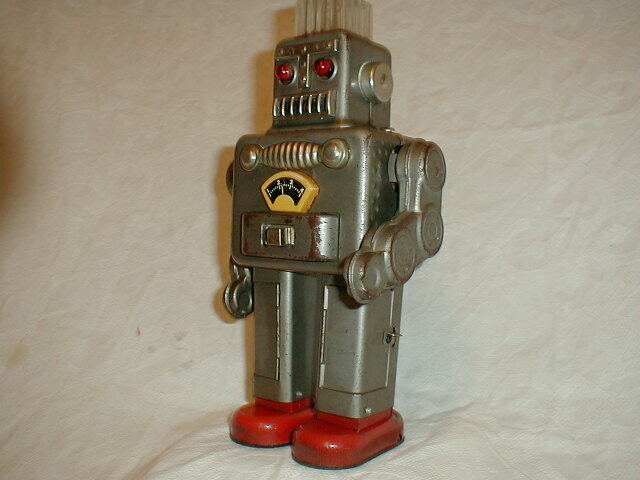 During Collecting Tin Robot, often encounter other interest Tin Toys. It is very difficult and almost impossible for collector to walk away when he saw Tin Toys. So he always make good reason to justify purchase, regardless to pay big money. Collector always have emotional purchase mind whenever finding something interest. 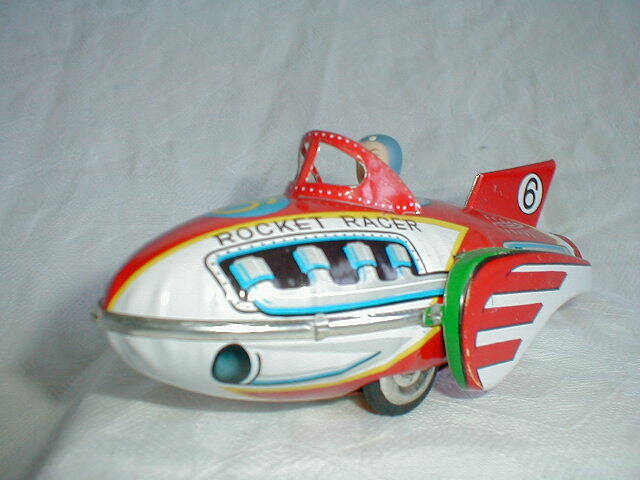 Here is showing some Tin Toys made in today. They are no value as of today but may be value in 50 years later. It's fun to collect today's Toys and keep until they become Antic in future. 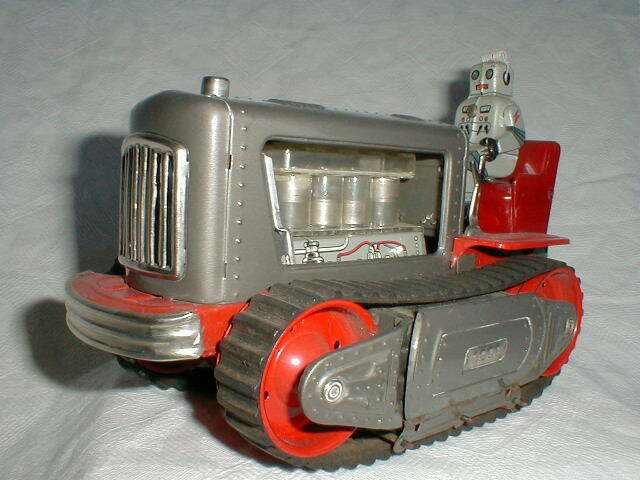 Tractor Robot made by Nomura Toys. Mars Robot is on driver's sheet . Piston is moving with light and forward by caterpillar. Many of them are loosing Robot, but value is loosing if no Robot is attached. 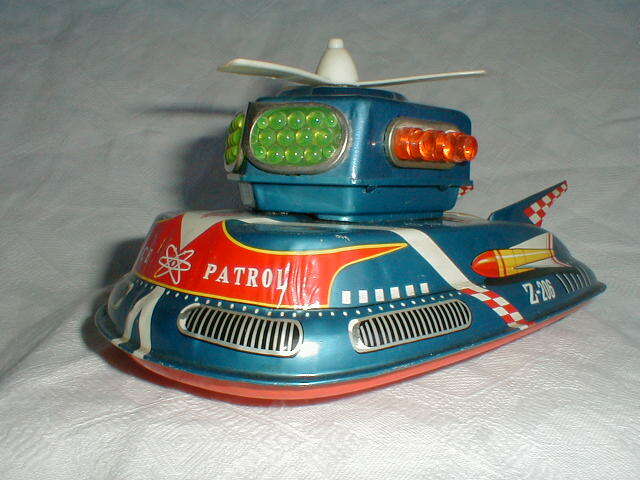 Very unique Tin Toy made by TPS. This is categorized in Robot or Space toy, is it ? Look Robot face cabin and moving around by mystery action with rotating propeller and lousy noise. 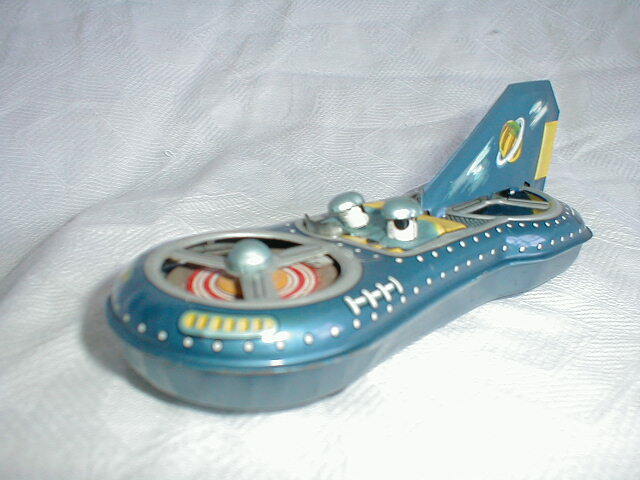 Space Toy made by Masudaya and was produced recently. Moving around by mystery action with lousy noise. There is few value right now, but product from Masudaya must have value in future. Because famous 5 Gangs producer and already company is out of business. Vender and Year are unknown, but made in Japan. Moving by friction motor, Product may be still in some shop at some where in Japan. It is made by LineMAR and may be in 60's, but not sure expect made in Japan. Only 15cm long and move by friction motor with rotating ring inside. Vender is unknown and may be in 70's products in Japan. Reproduction models are usual no value as antics, regardless next number of years passed. However Chinese original one may be some value in next 50 years as well as Japanese Robot does. It may dream,, but who knows ! Because of China is just economic growth like Japanese used to and their life style is changing old to new. 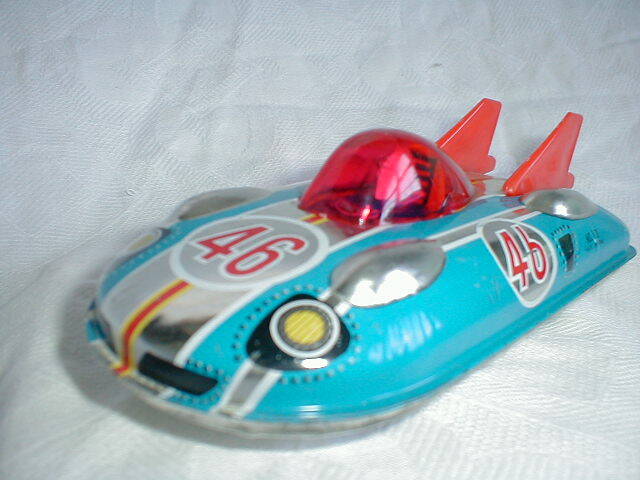 So current Tin Toy must be gone in market very quickly, and few products must remain in futures.